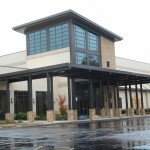 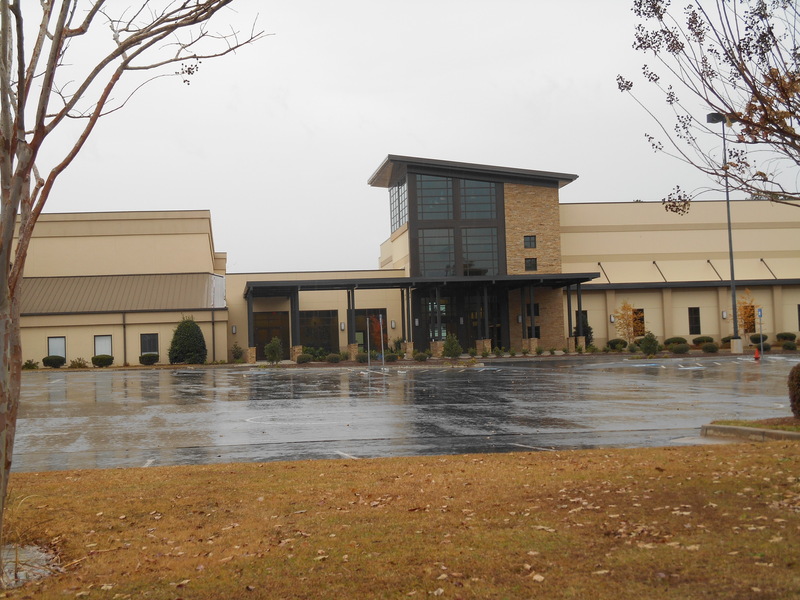 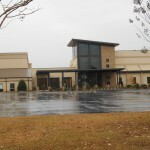 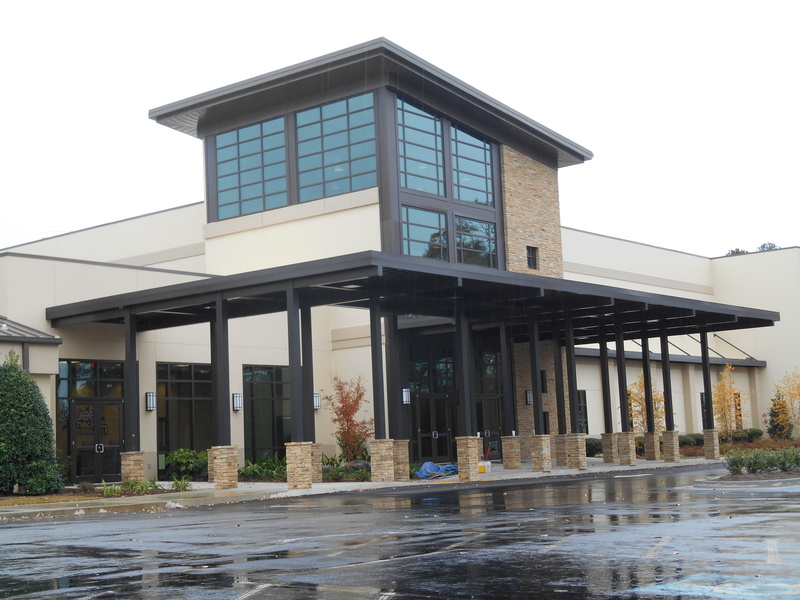 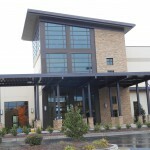 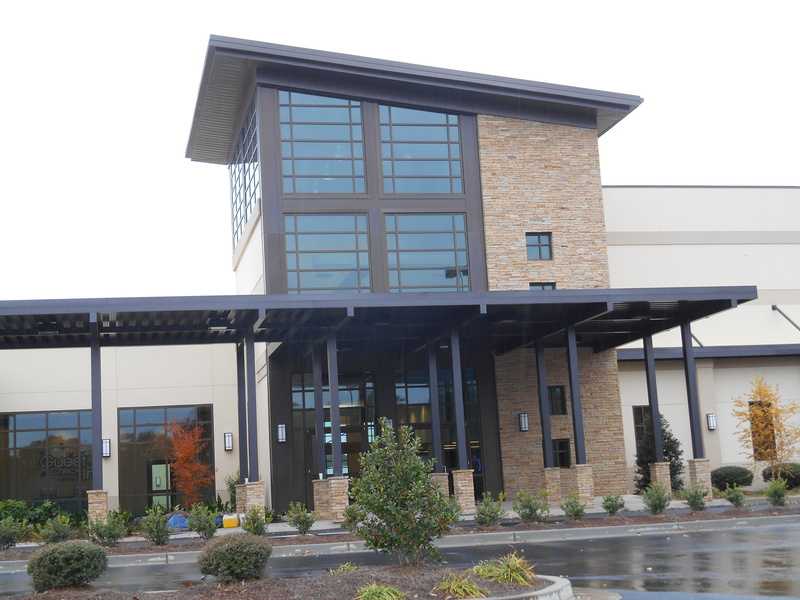 Southside Baptist Church - Formed Aluminum - SAF - Southern Aluminum Finishing Co, Inc. SAF – Southern Aluminum Finishing Co, Inc.
Jones Glass used SAF for medium bronze anodized fabricated brake metal (Formed Aluminum) in 192” pieces for the Southside Baptist Church project. 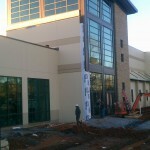 The shapes are the fascia between the windows and also for the slab covers. 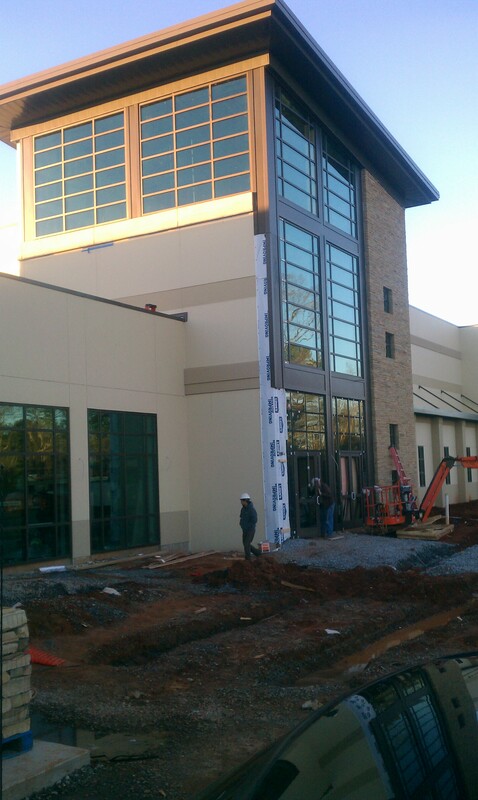 The pictures are during construction, but demonstrate that SAF supplied good anodizing color uniformity.